Google Campus Madrid won’t officially open its doors until June 22, but it has been buzzing with activity over the last few days, including its official inauguration yesterday. It culminated in a gala dinner in presence of US Ambassador James Costos, Google’s chairman Eric Schmidt and no less than Spain’s King Felipe. Despite this VIP-heavy start, most of Campus Madrid’s 2,500-square-meter space will be open to the general public; in fact, anyone will have access to its Do Eat café as long as they register in advance. Its building is located in the Madrid Río area, and was once home to the first electrical storage battery factory, founded by Spanish engineer Isaac Peral in 1892. Now entirely refurbished, its upper floors feature two co-working spaces, one of which is managed by UK-born network TechHub, which already had a branch at Google Campus in London. In addition to its London and Madrid locations, TechHub has a presence in Bangalore, Berlin, Boston, Bucharest, Riga and Swansea. According to its CEO Elizabeth Varley, its approach in Spain will be more hands-on, and her team also has big ambitions for its members. “We want the next Twitter, Facebook… or Google to grow here,” TechHub’s membership manager Daria Kyrilova said. According to Campus Madrid’s head Sofia Benjumea, the partnership with TechHub reflects the philosophy of her team: “We’re not an accelerator, we’re not a co-working space, but we are collaborating with others who know how to do it.” A former journalist, she previously founded Spain StartUp, whose conference The South Summit contributed to put her country on the map of entrepreneurship. Still, many Spaniards expressed surprise at Google’s decision to choose Madrid as the fourth city in which to place a Campus (after London, Tel Aviv and Seoul). On the other hand, ‘talent’ was one of the words that came up most often when Googlers described their vision of the local tech scene. “Spain is one of the countries with the largest distance between the internal and external perception of itself,” diagnosed Spanish investor Iñaki Arrola (note: translation ours). 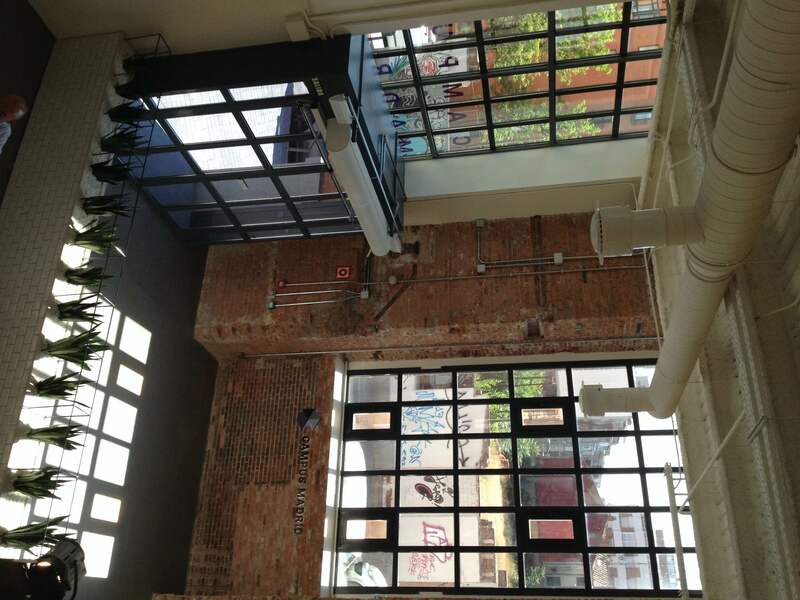 Arrola is heading the Madrid chapter of Seedrocket, whose next Summer Camp will take place at Campus Madrid. Its invested startups also share a co-working space on the second floor with other organizations, such as pre-accelerator Tetuan Valley and Startup Weekend parent organization UP Global (now owned by Techstars). Partner activities aside, Campus Madrid will host several recurring Google-led initiatives, such as Campus Exchange, Talks@Campus, Connect@Campus and Mentoring@Campus. In early July, it will welcome Google Launchpad, the week-long program that the company has been promoting to provide startups with intensive mentoring. 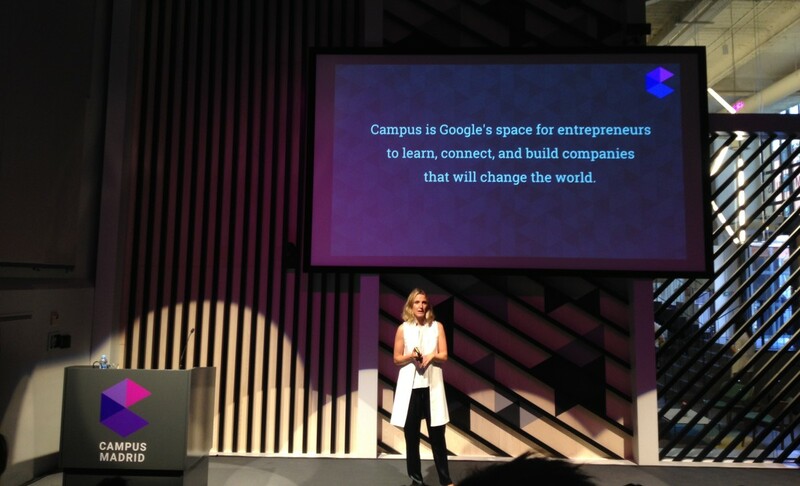 “Many Googlers have volunteered to become mentors at Campus Madrid,” Benjumea said. Her team is currently preparing the opening of Google’s 5th and 6th Campuses, respectively in Warsaw and São Paulo. The first one of all was Campus London, which is now 3 years old. With 40,000 members from 90 countries, some 850 yearly events and 1,100 mentoring hours in 2014, it also serves as an example of the impact Campus Madrid hopes to have. One of the main purposes of Campus Madrid is to host events, which got their kickstart with In³Spain (pronounced “Incubed”), a high-level conference promoted jointly by its team, the U.S. Embassy in Spain and trade association Chamberi Valley. Its name is a reference to its motto, ‘Incubating a new Spain,’ as well as to the three categories of participants it is bringing together: innovators, investors and institutions. Alongside some of Spain’s best known entrepreneurs and angels, high representatives indeed made an appearance; not only Spain’s King and its Minister of Industry & Tourism, but also Maria Contreras-Sweet, Administrator of the US Small Business Administration (SBA) and a member of President Obama’s Cabinet. “President Obama has committed to promoting entrepreneurship through the creation of the US Government’s Spark initiative, which has set a goal of generating more than a billion dollars of new investment for emerging entrepreneurs worldwide by 2017, igniting a new era of global innovation. IN3 is part of that commitment,” Ambassador Costos said. Over the last couple of days, both Google officials and U.S. authorities shared the same rationale to justify their involvement. Entrepreneurship is the “best way to generate jobs and innovation,” in the US and abroad, Google’s chief legal officer David Drummond noted. “Two thirds of the current job growth in the U.S. comes from small businesses,” Contreras-Sweet added. Interviewed on stage by Fon‘s founder and chairman Martin Varsavsky, Eric Schmidt pointed out that the main job creators are actually companies that are both small and fast-growing, also known as ‘gazelles.’ Talking to a full auditorium, he answered questions on many topics, from healthcare and education to fairness and robots. He also noted that Google’s innovations were meant to be embraced beyond the company. “The real goal of Google Fiber is to get everyone else to increase their network speeds,” he explained. In a sense, what Google is doing with its Campuses is no different to what it did with Android: it is fostering an ecosystem from which it will eventually benefit. In the case of Campus Madrid, it is also taking a bet on a city that, in the words of Schmidt, is at the start of a journey to compete with Europe’s main existing tech hubs, such as London, Berlin and Scandinavia. Will it be able to supplant any of them? Only time will tell.